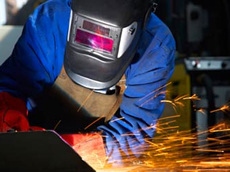 The following pages aim to provide simple guidance and advice on the health and safety risks that are associated with welding, ‘hot’ cutting and other associated operations. Specific welding advice and guidance depending on what your role is. When should you use welding curtains? Are clear welding curtains acceptable? Sign-up below to receive emails with the latest news, information and updates for Welding.